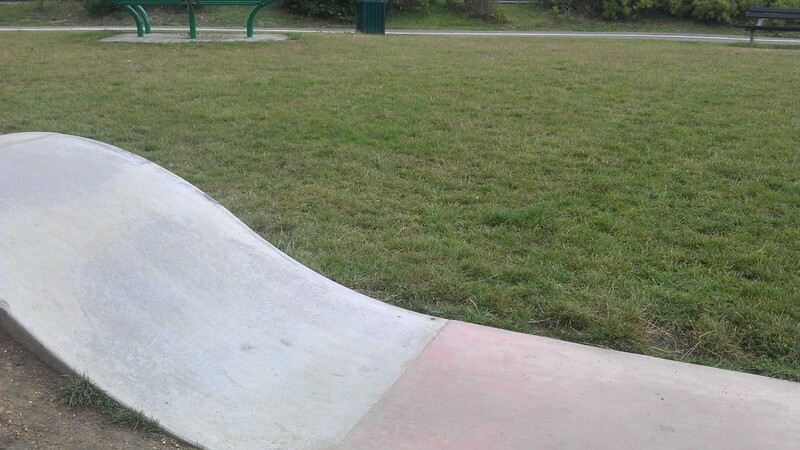 Scooter Parks are small linear skateparks designed with the younger riders and their scooter in mind. 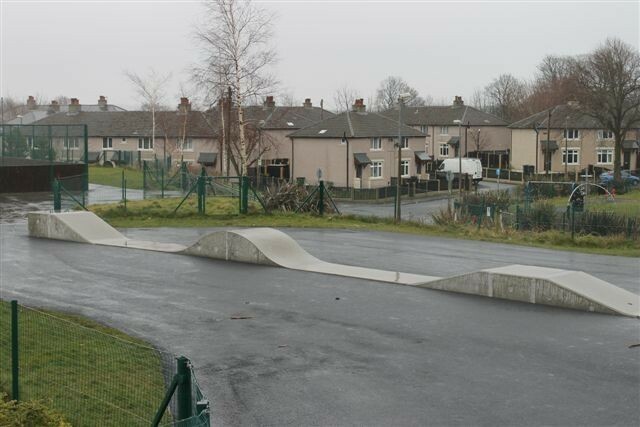 The popularity of scooters with primary school children continues to grow. 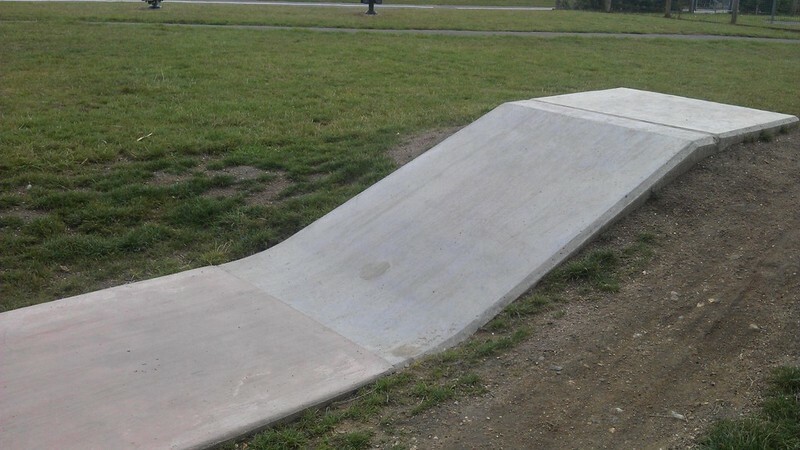 It is a very active sport. 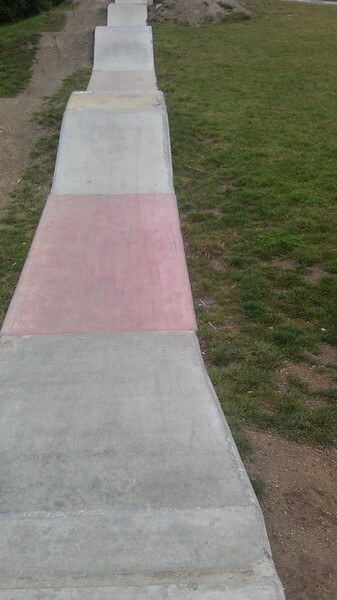 It is a great way for children to exercise while they are having fun. 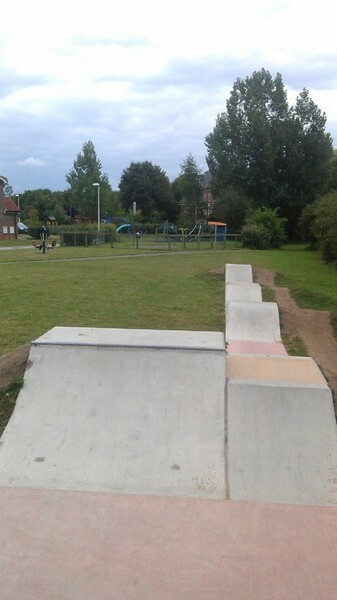 Scooter parks encourage the younger riders to take risks and develop their skills. 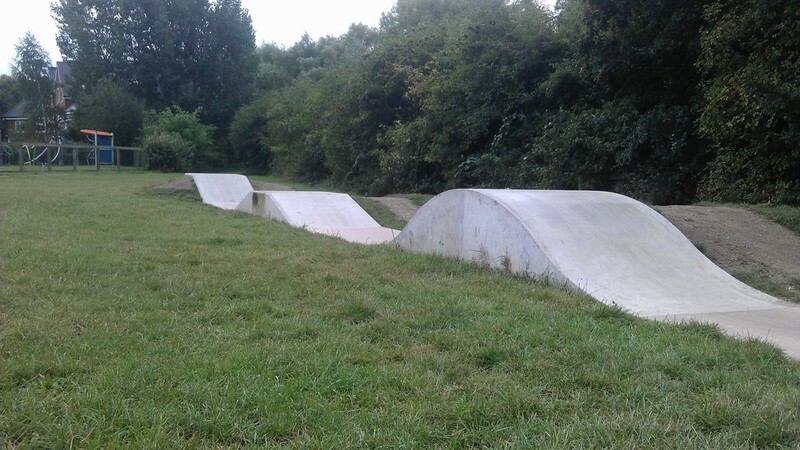 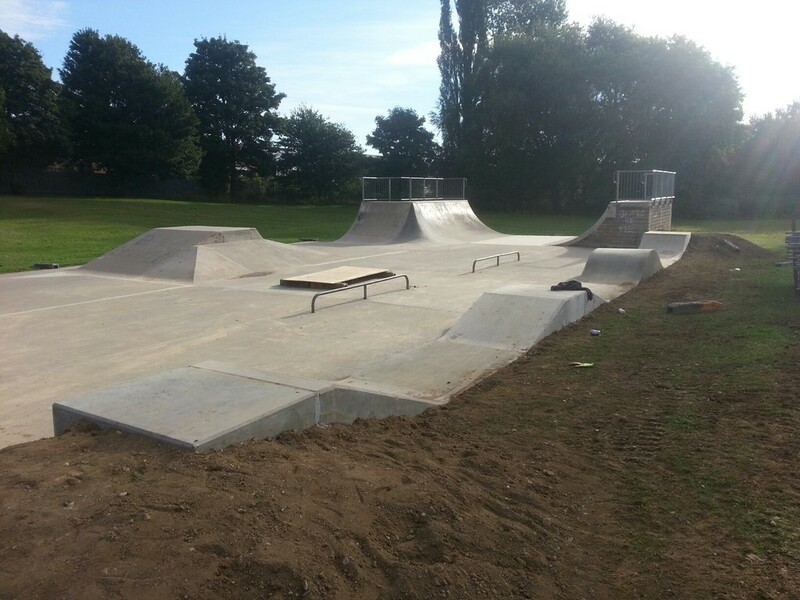 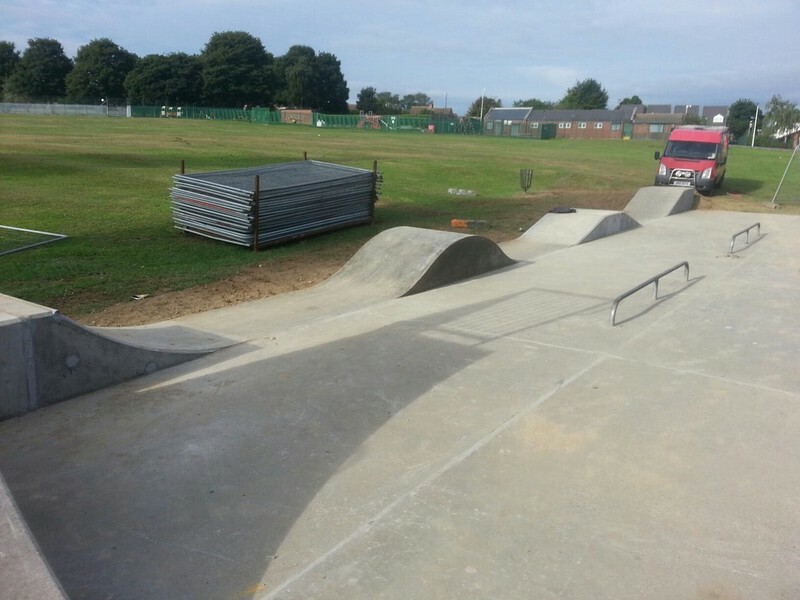 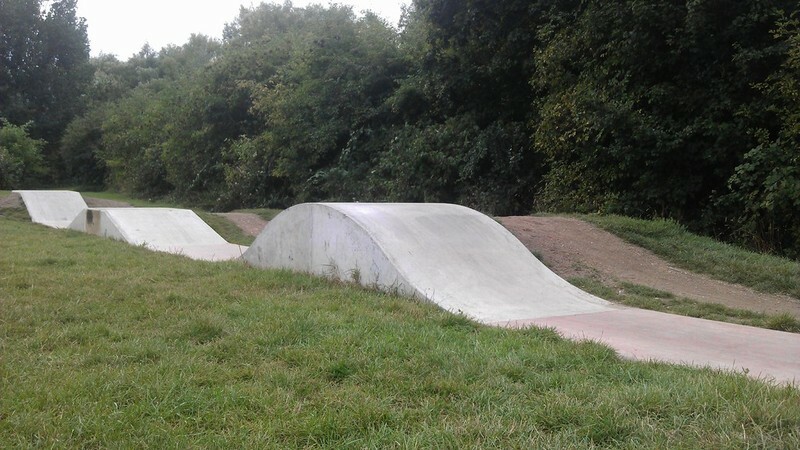 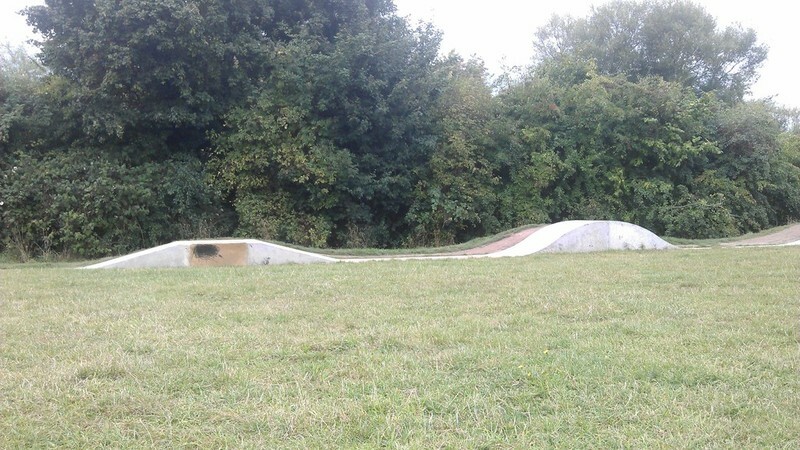 Currently their only option is to visit the skateparks with older riders or ride on the roads. 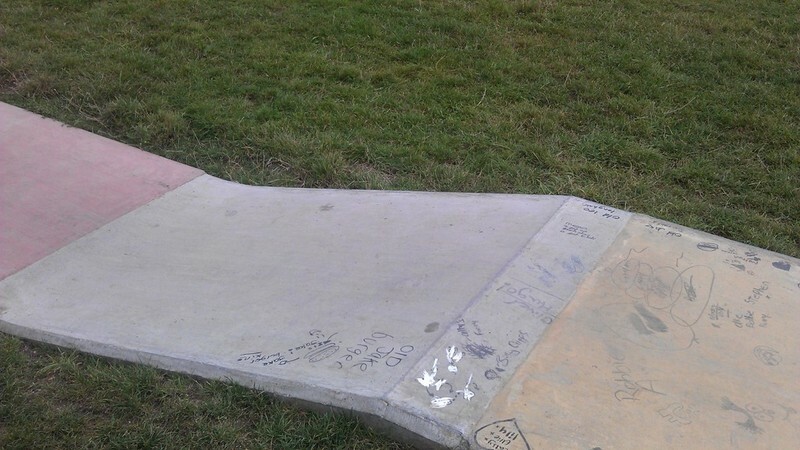 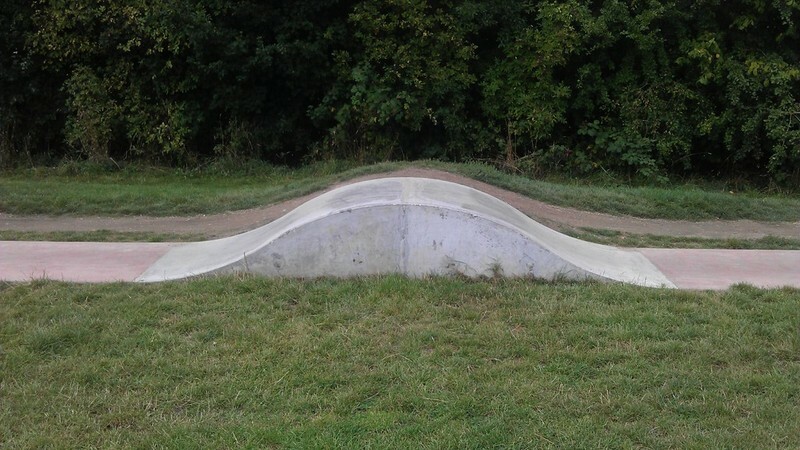 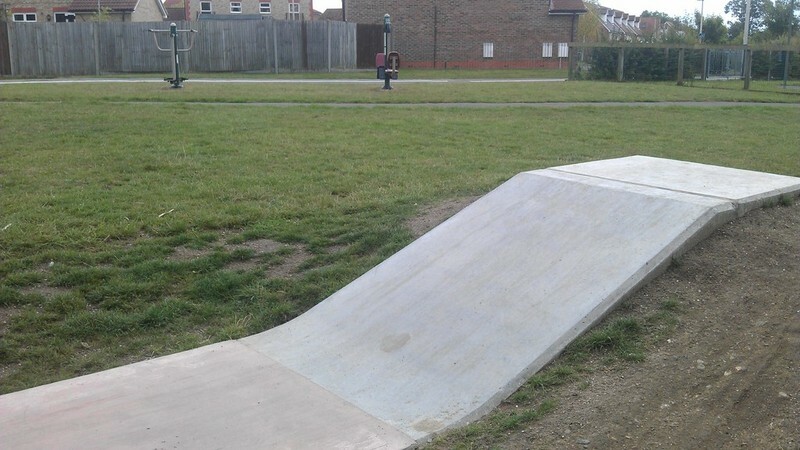 This can lead to some conflict as the younger users have not yet developed the sense of skatepark etiquette or perceptual skills to use the larger skateparks safely. 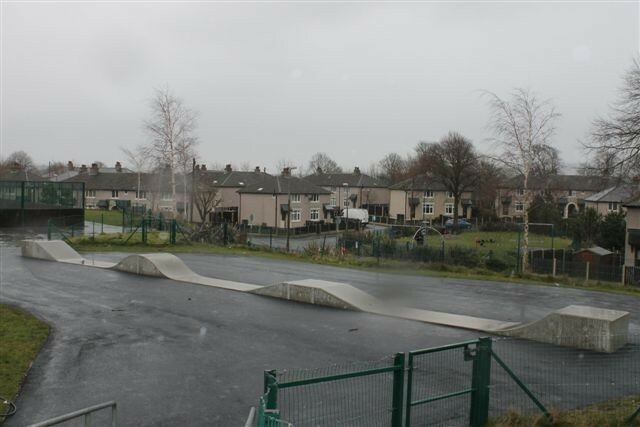 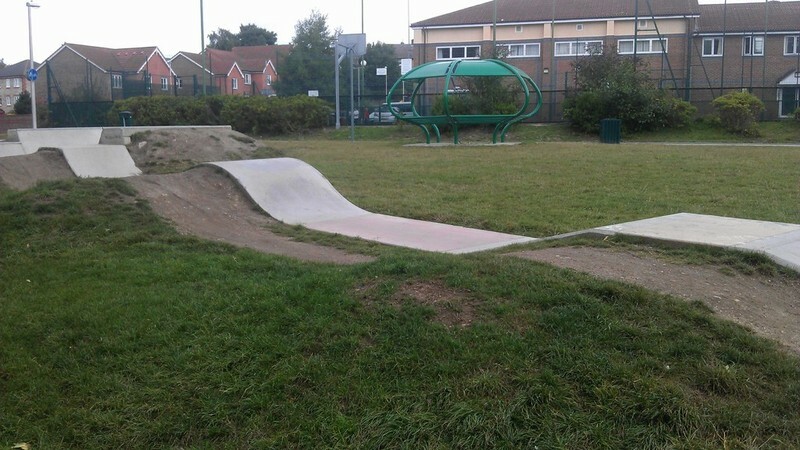 These parks compliment play areas perfectly as younger children often arrive on their scooter - which then has to be abandoned due to lack of facitlities. 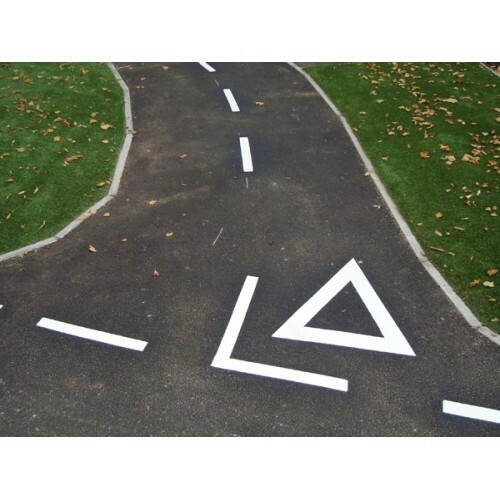 Immitation road markings can be created using marking lines on the tarmac to enhance the play value. 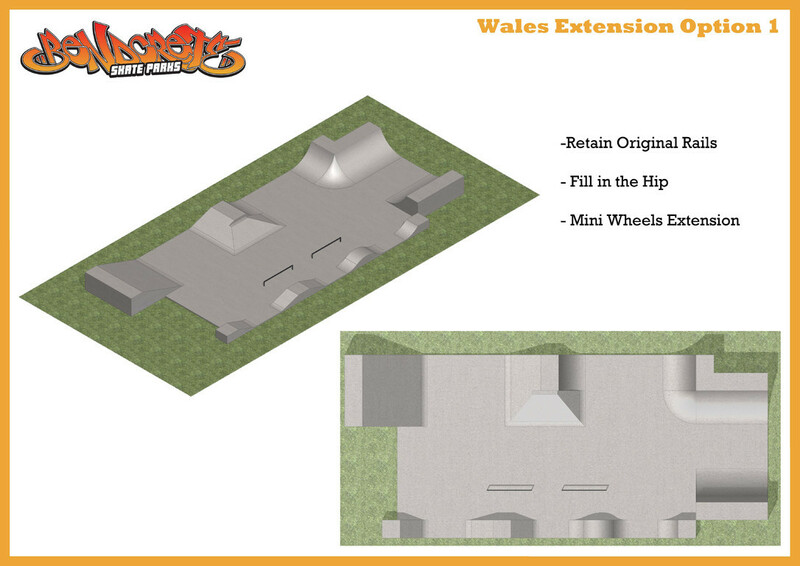 We have designed the mini wheels to be linear to avoid conflict of riders. 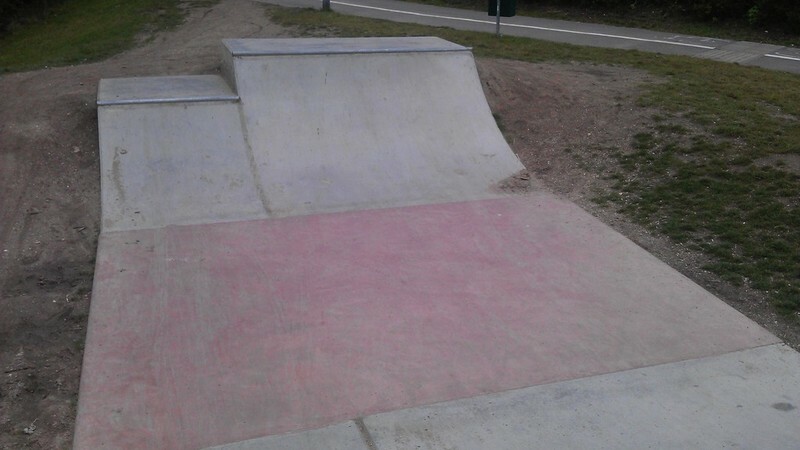 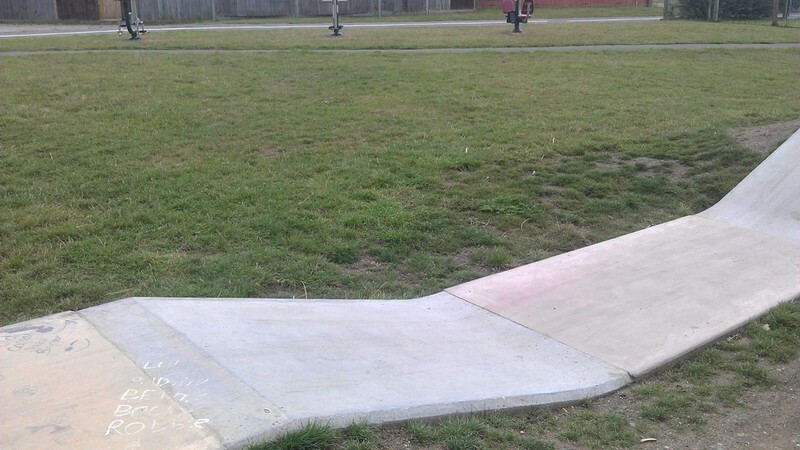 The transitions and ramps are lower and slower than standard skatepark equipment. 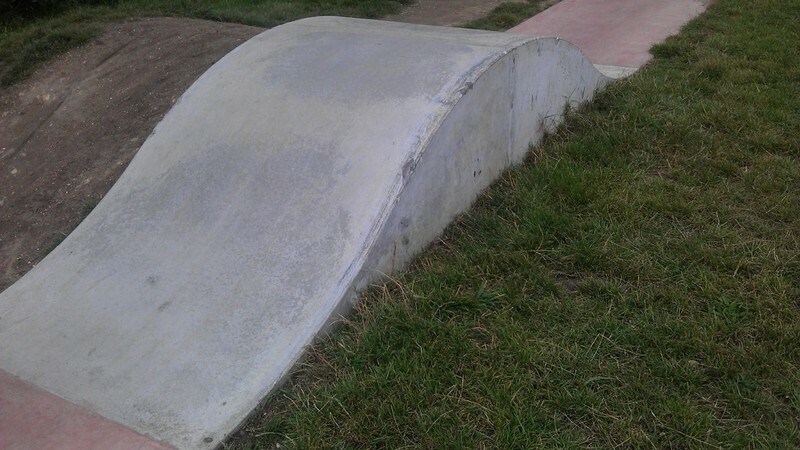 The rollover and flatbanks are also designed with the low wheel base of the scooter in mind. 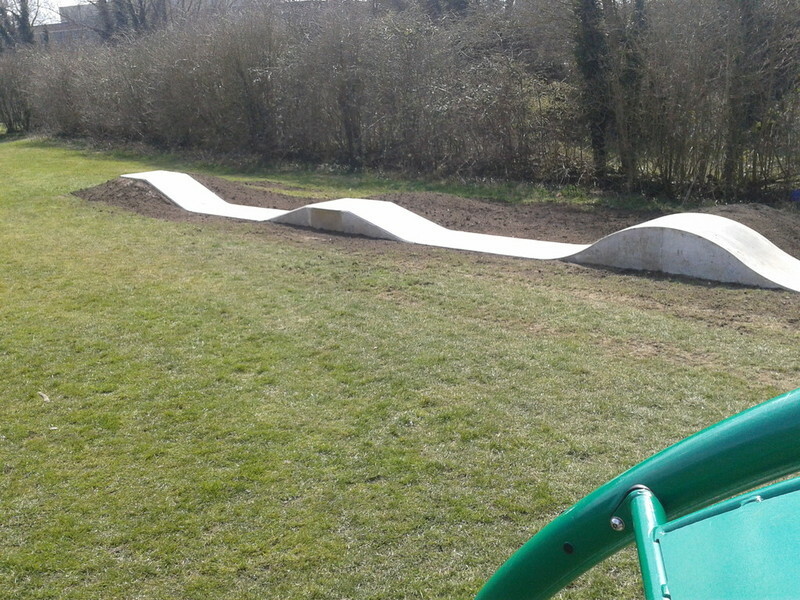 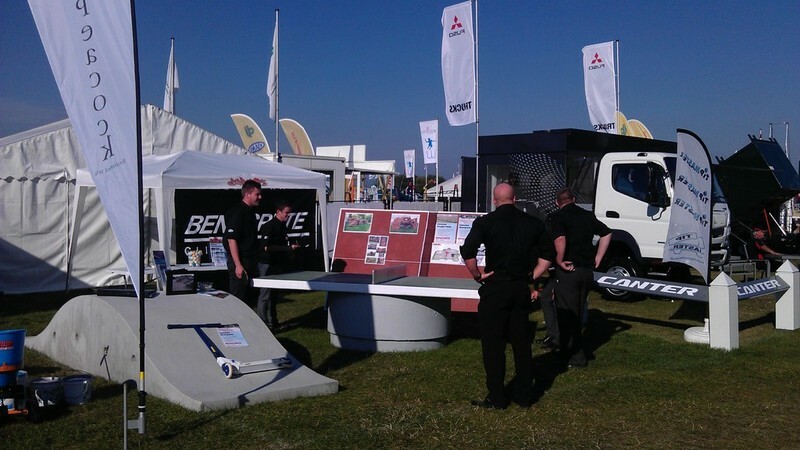 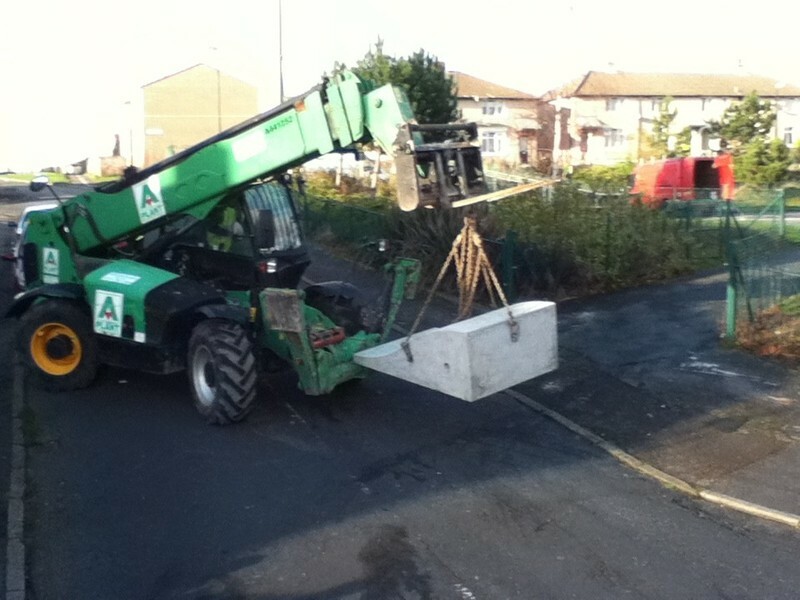 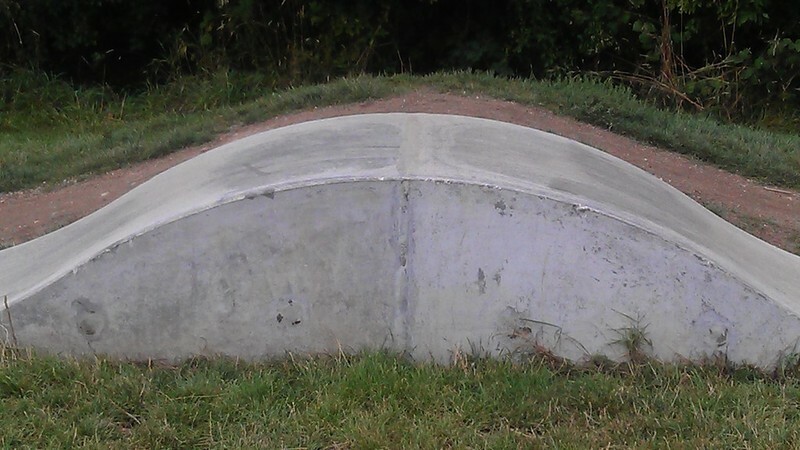 Our parks start at £10K and can be installed in as little as 1 week. 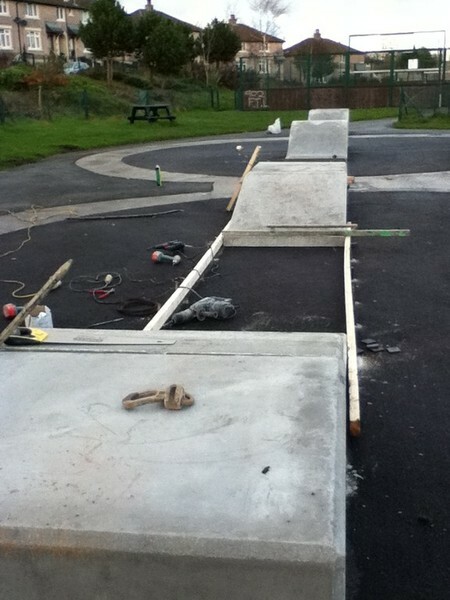 We do this by precasting the scooter features and pour the flats on site. 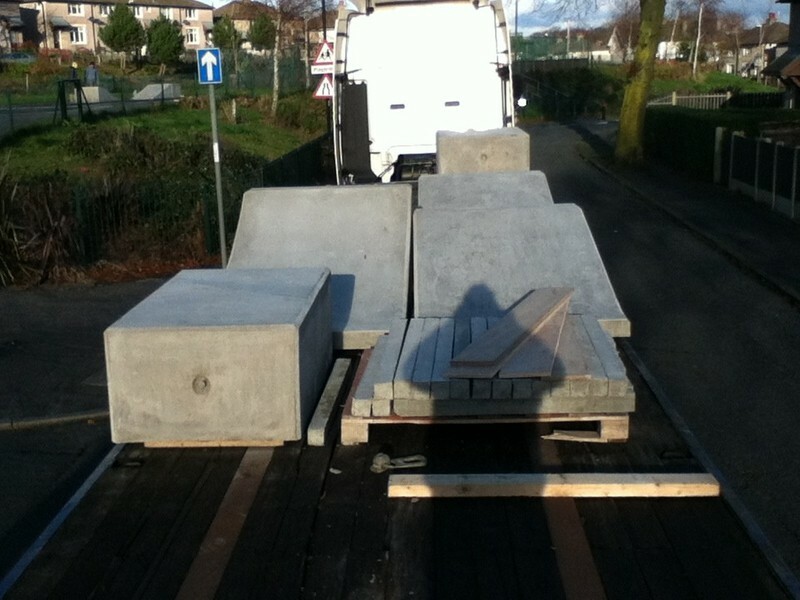 The installation can easily be added to further down the line as funding becomes available.